Some days I wonder if I have read past my contemporaries - certainly well past the young folks these days, my head so stuffed full of sage advice and wonders from a lifetime of reading, if I'm ready for roasting. Books change one. Call them the flavor enhancers of a life well worn. Books open up new worlds and fresh perspectives in a compact and private discourse that cannot be matched in a hundred lectures. So what is a woman like me to do, when there are few who have traveled as far or as broad? Have you ever wondered how Marco Polo fared when he returned to his home town? Would his mother's cooking ever match the exotic fare that had passed his lips? Who of his friends could match his stories, never mind understand them? One thing a world traveler can do is write. Those thirsty for adventure can drink deep from his experience. A modern Marco Polo is Louis L'Amour who traveled the world as a merchant seaman, making up his own education as he went along. His memoir, "Education of A Wandering Man" includes a condensed list of must-read books. I've added his list to my own. Here's a list of self-help books that have done the most to improve my life, in order of impact, with a short note on why they made my list. 7 Habits of Highly Effective People by Covey. A tough book because it demanded a tough look at my life. I got stuck on habit three and I had to put the book down a few months. What is the one thing I'm not doing would have the greatest impact on my life? I knew what it was, and indeed it made the biggest difference. Why did I wait so long? On Writing Well by Zinsser. I put the principles in this book in to practice, specifically crafting all my writing succinctly. Clear writing demands clear thought. Clear thought leads to purposeful action and eliminates confusion. This book changed the way I think. The Time Paradox by Zimbardo. By simple examples, the author convinced me I'd be happier reframing my miserable past in warm nostalgia, discarding the crippling bits. The happiest people have warm memories of the past, enjoy a hedonistic present, and prudently future oriented. 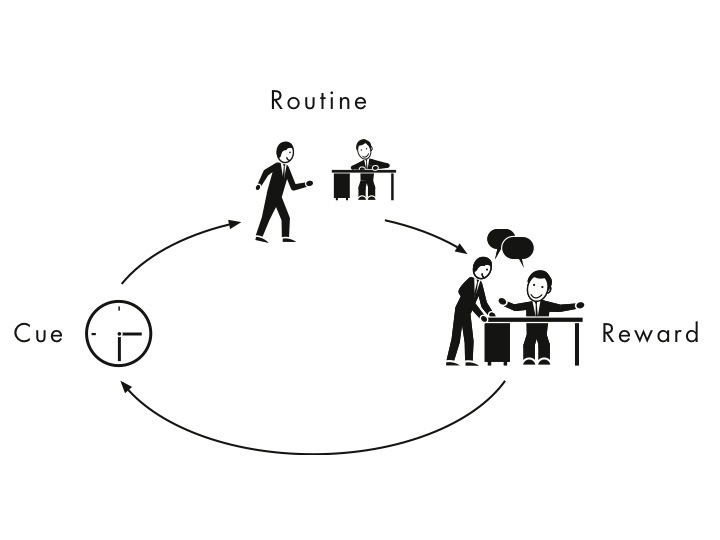 The Power of Habit by Duhigg. The author offers a simple but powerful message. I now redirect my habits instead of fighting them. It's way less tiring that way. Catch! A Fishmonger's Guide to Greatness by Crother. I used the principles in here to insert fun and energy in to a large records office. Our group and the Ministry won a recognition award for this. Leave the Office Earlier by Laura Stack. I picked up this book when I was in a very, very busy position. Indeed I stopped all overtime by applying these principles while meeting all my deadlines. I use this book as a foundation for my time management course. Getting Things Done by David Allen. This is a time management advanced primer. This book let me relax in the midst of a hundred tasks. Have a system; trust the system. Flow by Csikszentmihalyi. This researcher's compelling studies convinced me to find moments of flow and high creativity in everything I do from peeling a carrot to completing a painting. Iconoclast by Berns. A validation for my out-of-the box thinking. There's another book on Change Management, that provides over a hundred strategies on "recipe cards" that outline when and how the strategy would be used. But I can't find it right now.